read. watch. listen. 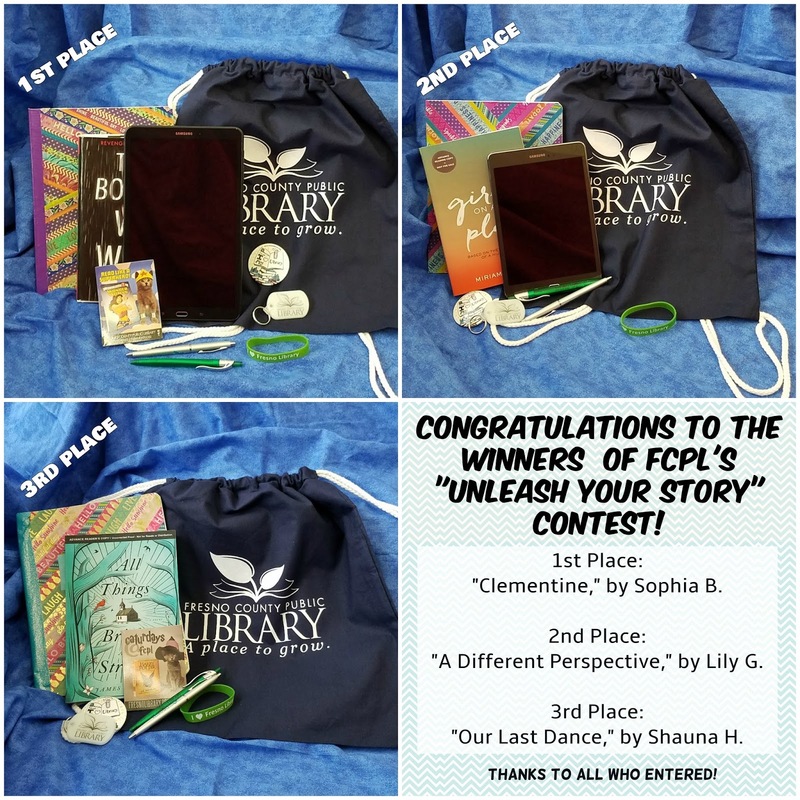 : Congratulations, Winners! The votes are in, and we are now able to announce the winners of October's "Unleash Your Story" short story contest! 1st Prize: "Clementine," by Sophia B. 2nd Prize: "A Different Perspective," by Lily G.
3rd Prize: "Our Last Dance," by Shauna H.
Winners have been notified, and the stories will soon be made available for the public to read, on BiblioBoard (one of FCPL's newest eResources). Thanks to everyone who submitted a story!